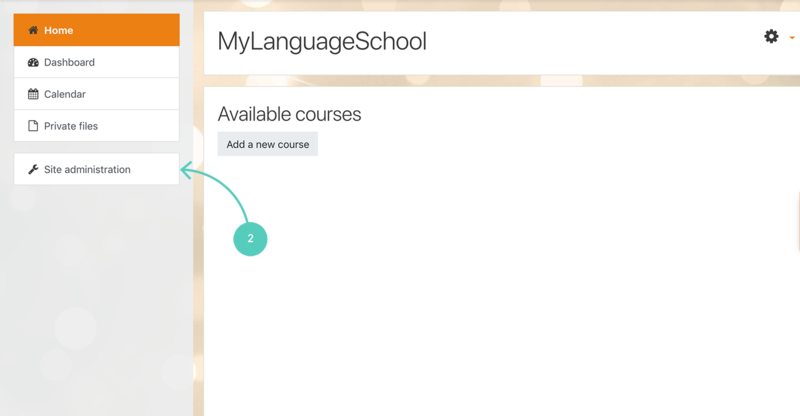 Thanks to LiveChat integration you can quickly install a live chat on your Moodle site. You will be able to answer users’ questions and support them in real time. With LiveChat you can track all kinds of data about your visitors – how many times they have visited your website, how long they have been browsing through pages, what country they are from and many more. The more you know about your users, the easier it is to adjust learning content to their needs. Don’t have a LiveChat account yet? Sign up for our 30-day free trial! 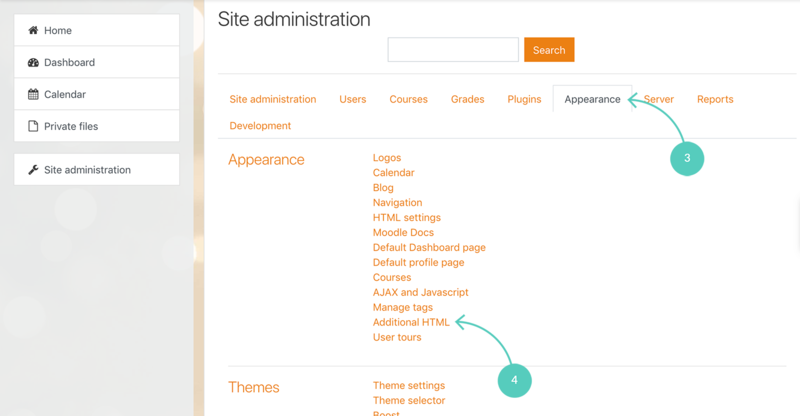 To begin, you need to log in to your Moodle administrator account. Next, go to Site administration. In the Site Administration section, choose the Appearance tab. Then, go to Additional HTML. 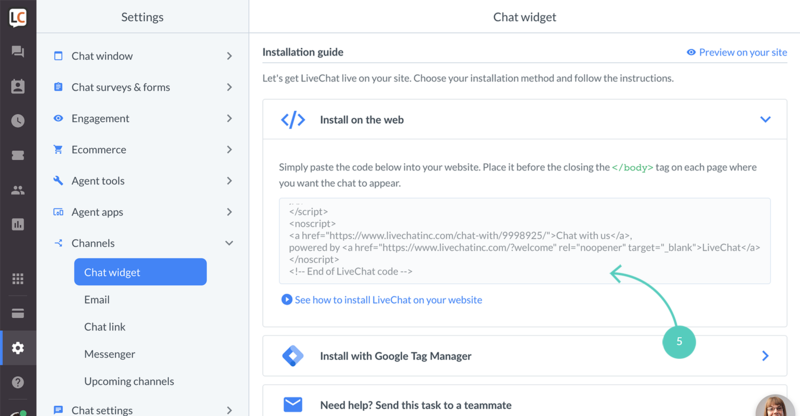 Copy your LiveChat installation code (you need to be logged in to your LiveChat account to see your code). Paste the installation code in the Before BODY is closed section. To finalize, hit the Save changes button. And that’s it. 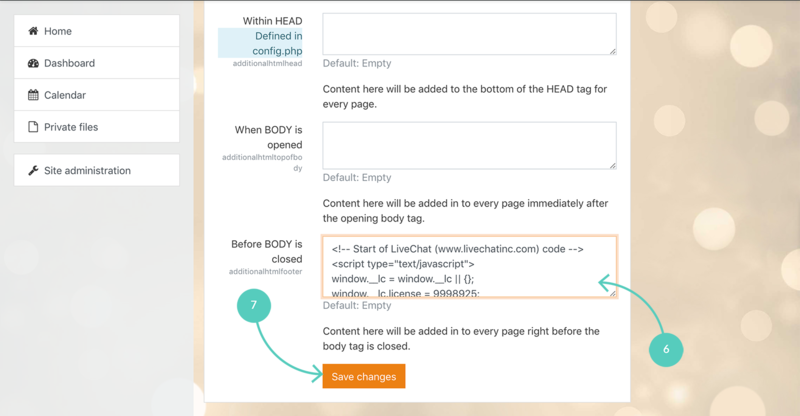 You should see the LiveChat window on your website. All you need to do now is start chatting with your website’s visitors.